Includes a 90 day warranty for parts and labor. 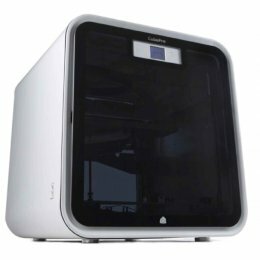 The Cube 3D Printer Gen3 is designed and certified for home use so that you can explore your creativity by building physical objects from digital designs. With an integrated, snap-in nozzle, The Cube Gen3 is now faster, more reliable and easier to use than ever before. The cube has 23 striking new colors and dual material capability for multi-color and multi-material printing, so creative options are virtually limitless! Includes a 90 day warranty for parts and labor. 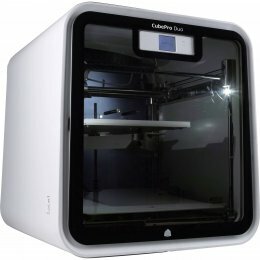 With the CubePro 3D Printer, quality 3D printing has never been bigger with its largest-in-class build platform. 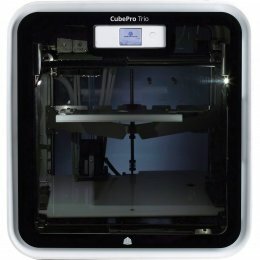 A built in controlled printing environment means that the CubePro ensures a more accurate and reliable outcome. The CubePro printer now supports nylon as a durable new material. 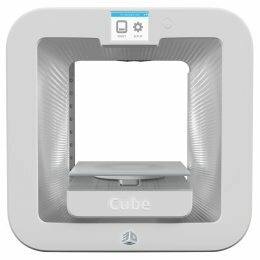 With dual material options and 24 bright colors, the CubePro Printer possibilities are endless. The Touch 3D Stylus from CUBE is designed for intuitive 3D creation. 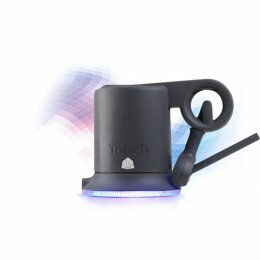 Have complete control of your 3D design with the touch stylus, which mimics physical sculpting by precise positioning input and instant force feedback. The Cube 3D Stylus enables 3 dimensional access to your design.